The Columbia River flows right through the Cascade Mountains, creating a canyon that’s over 90 miles long and in some areas is more than 4000 feet deep. Providing the border between Oregon and Washington, the Columbia River is actually older than the Cascades, so as the mountains formed, the river eroded any new formation and prevented the mountains to block it. The Columbia is the United States’ fourth largest river by volume and the largest flowing into the Pacific Ocean. The Gorge is the largest of the nine national designated scenic areas. 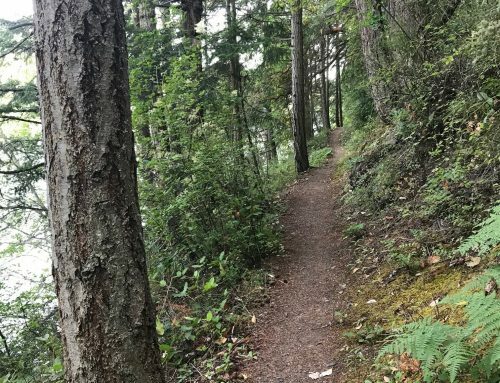 The 2017 Eagle Creek fire on the Oregon side gave visitors an excuse to look at the trails on the Washington side in more detail. State Highway 14 gives easy access to the gorge from Vancouver, WA. The climate changes dramatically through the gorge, where west of Stevenson gets up to 110 inches of rain per year and a semi-arid desert near Goldendale. 1131 SW Skamania Lodge Dr.
Beacon Rock/Hamilton Mountain– Beacon Rock is a 4500-acre park featuring a 2100 foot climb to the top of Hamilton Mountain. The trails include waterfalls, cliffs, deep forests and stunning views of the Gorge. Coyote Wall/Catherine Creek – A little drier side of the Gorge, Coyote Wall features a trail system with spectacular views of the Mt. Hood and the Gorge that can be used all year round. Pacific Crest Trail- Starts on the Washington side of the Bridge of the Gods. The PCT winds past Gillette Lake and on up to Table Mountain for 15.5 miles out and back or climb the rocks of the Eastway trail of Table Mountain for a challenging loop. Skamania Lodge– A short set of trails for hiking at the lodge. 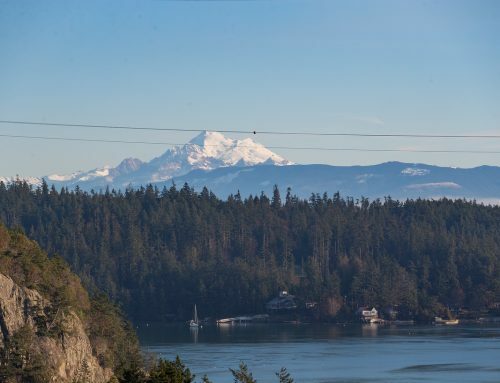 Dog Mountain- The most popular trail on the Washington side is a steep climb (2828 ft.) that’s great for pole practice. Head back on the Augsburger Trail for a 6.8-mile loop. A permit is required on weekends during wildflower season (March 31 through July 1.) Park early or take the weekend shuttle bus from Skamania County Fairgrounds. Horsethief Butte– A short, easy climb on the other side of The Dalles. Klickitat River Trail– A flat trail built on a former rail bed that follows the Klickitat River. Birds of Prey 1/2 Marathon and 5k – Put on by Columbia Gorge Running Club at Beacon Rock State Park. 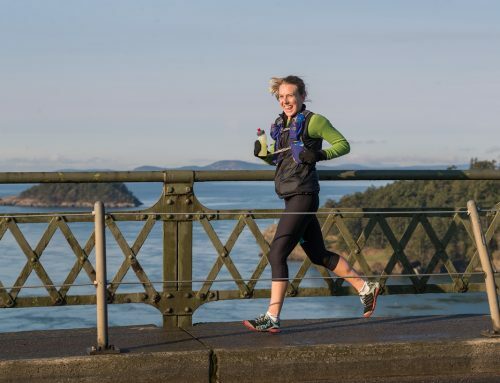 The half-marathon is a hybrid course (grass, dirt, rocks, mud, pavement, hills, gorgeous views) and the 5K is on the beautiful paved path through the community. White Salmon Backyard Half and four mile – A race supported by donations for White Salmon Cross Country Boosters and the Columbia Gorge Running Club Student Scholarship Fund. The course changes every year, but always involves climbing and views of the mountains and the gorge. Strawberry Fields Forever 10k, 50k, 100k, 100 mile– A 10k loop of dirt and gravel trails around Beacon Rock State Park. Runners have 30 hours to complete any distance of their choosing. Strawberry Fields is directed by Columbia Gorge Running Club. 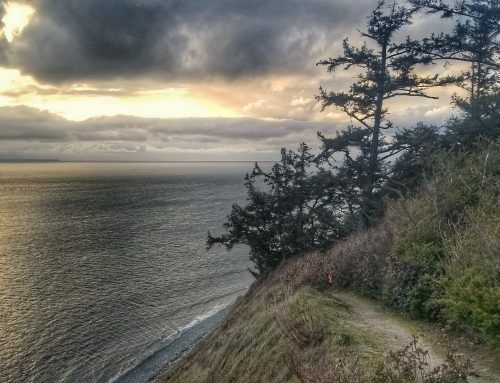 Beacon Rock 50k/25k – Rainshadow Running’s looped course includes a climb up Hamilton Mountain, all types of terrain, and spectacular views of the Cascades and the Gorge. The camping at Beacon Rock gives runners a chance to meet fellow trail racers and other members that the community. Three Corner Rock PCT 50k – This point to point race starts at the Whistle Punk trailhead on the PCT and finishes in the town of North Bonneville, WA. The CGRC supported race also features a climb on three corner rock, several stream crossings, and beautiful mountain views. Klickitat Half, Full Marathon and 5k – Columbia Gorge Running Club’s relatively flat race along the Klickitat River. The Ruff – A new race from Alpine Running involving 3 miles and 3000 feet up Dog Mountain and 4 miles bombing down Augspurger Trail to the finish. 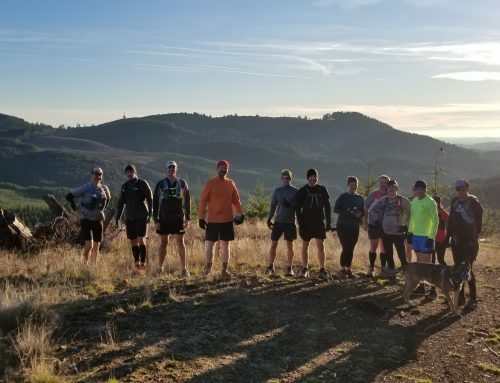 Columbia Gorge Running Club– A non-profit membership club based out of Stevenson, WA. Members receive discounts to ORRC and RRCA races. The club hosts weekly track workouts and a couple potlucks each year. The Cabin Drive-Thru – Don’t let the name fool you. This is a place to stop and relax with a cup of coffee and a nice pastry or other items from the breakfast menu while enjoying a view of the Gorge from their Adirondack chairs on the porch. Located on the east end of Stevenson on the north side of SR 14. Try the frozen custard for a recovery treat. Bigfoot Coffee Roasters – An artisanal micro-roaster offering freshly roasted coffee that is free trade organic coffee beans from all over the world. Bigfoot also has several different flavored coffee drinks and food items. Washougal Coffee Company -Serves Stumptown coffee, Teapigs tea, sandwiches and salads from Pick-Me-Up Modern Take-Away, pastries from Baron Patisserie, and a variety of bottled beverages. Just a few blocks off HWY 14 in Washougal. 54-40 Brewing – Featuring Kaskadia Kolsch and Half Cocked IPA, this Washougal brewpub has several seasonal beers on tap and several sandwiches and burgers for a post-run meal. Everybody’s Brewing – If trail running with a large group, this is a great place to meet for an IPA and a pulled pork burrito bowl. Located in downtown White Salmon, Everybody’s offers lots of room and even live local music on Mondays. Backwoods Brewing – A short drive off HWY 14 in Carson, Backwoods offers great beer and pizza.